"Such a fine, sunny day, and I have to go, but what does my death matter, if through us, thousands of people are awakened and stirred to action?" When Sophie Scholl was born to a German family in Forchtenberg on May 9, 1921, nobody could have expected that she would give her life at age 21 for her anti-Nazi resistance work. Scholl was a key member of the White Rose, a student resistance group in Munich, and remains one of Germany's great dissenting heroes of the World War II. 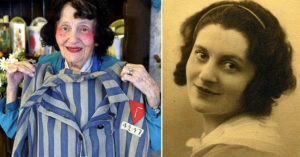 Despite that, few people outside of Germany know of her name or of the courage that allowed her to face death rather than give up her belief in what was right. 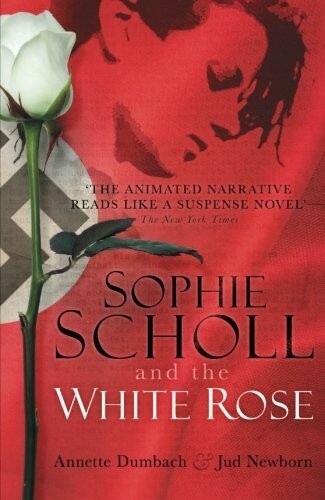 Today, we're sharing Sophie's story, as well as a selection of books for readers of all ages that explore her heroic story, the White Rose, and her impact on history in more depth. Her bravery and sacrifice is a powerful reminder of the importance of standing up against injustice, hatred, and tyranny, even at great personal cost. Sophie had a carefree childhood, and at age 12, like most of her classmates, she joined the Bund Deutscher Mädel (League of German Girls), the girls' wing of the Hitler Youth. Her older brother, Hans, also became a member of the boys' division. 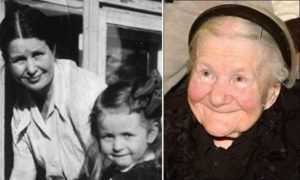 At first, the two often clashed with their father, an anti-Nazi politician, who once told them: “All I want is for you to walk straight and free through life, even when it’s hard.” Gradually, both Sophie and Hans grew skeptical of the Nazi propaganda they heard in the youth groups and at school. When her brother and several friends were arrested in 1937 for participating in the German Youth Movement, a scouting group that the Nazi party outlawed, Sophie became deeply disillusioned with the party line. After encountering an anti-Nazi sermon by Clemens August Graf von Galen, the Roman Catholic Bishop of Münster, she was so moved by the "theology of conscience" that her disillusionment soon hardened into a determination to resist. 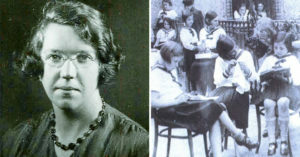 In May 1942, Sophie enrolled in the University of Munich, studying biology and philosophy. Hans was already a medical student there, and introduced her to his friends. The group increasingly became more political, discussing non-violent resistance and what the individual's responsibility was when living in a dictatorship. That year, Sophie's father was sent to prison after he was overheard calling Hitler "the scourge of humanity,"and Sophie herself was forced to work in a metallurgical plant in Ulm over the summer break. They called themselves the White Rose to conjure up an image of purity and innocence in the face of evil. Sophie proved an invaluable member of the group. She purchased an illegal typewriter and helped to craft the intellectual and philosophical arguments urging others to find ways to resist the Nazi regime. As a woman, she also played an important role in the distribution of pamphlets as she was less likely to be randomly stopped and searched by the SS than her male counterparts. Unfortunately, their identities would not remain hidden for long. While scattering their sixth pamphlet at the University of Munich on February 18, 1943, Sophie and Hans were spotted by a janitor who called the Gestapo. After the siblings were arrested, interrogator Robert Mohr originally believed Sophie was innocent, but once Hans confessed, she also took full responsibility, trying to protect other members of the group. They appeared in the People's Court before Judge Roland Freisler five days later. The defendants were not permitted to give testimony in their defense, so the only statement on record is Sophie's declaration, "Somebody, after all, had to make a start. What we wrote and said is also believed by many others. They just don't dare express themselves as we did." On February 22, 1943, Sophie, Hans, and their friend Christoph Probst, were all found guilty of treason and sentenced to be executed by guillotine. The execution was carried out a mere few hours later, at 5 pm. Prison officials later remarked on Sophie's courage as she walked to her execution; her last words were, "How can we expect righteousness to prevail when there is hardly anyone willing to give himself up individually to a righteous cause? Such a fine, sunny day, and I have to go, but what does my death matter, if through us, thousands of people are awakened and stirred to action?" After their deaths, a copy of the sixth pamphlet was smuggled out of Germany and delivered to the Allies. It was retitled The Manifesto of the Students of Munich and Allied Forces dropped millions of copies, spreading their words of conscience and calls for resistance across Germany. After the war, verdicts like those against the Scholls were overturned; Germany now considers the White Rose members to be heroes. 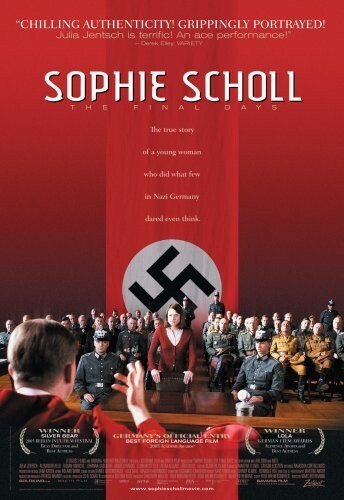 Sophie's story has since been told in books and on film, but perhaps the most powerful example of her lasting influence came in 2003, when a German television broadcaster took popular votes to choose the top ten most important Germans of all time. Sophie and her brother came in fourth — but among viewers under forty, they were the first choice. It's a testament to the enduring influence of a woman who refused to let the law overwhelm her conscience, no matter what the cost. The authors of the New York Times bestselling book Rad American Women A - Z take a look at global history with this collection that features Sophie Scholl's inspiring story, as well as 39 other inspiring biographical profiles from around the world. 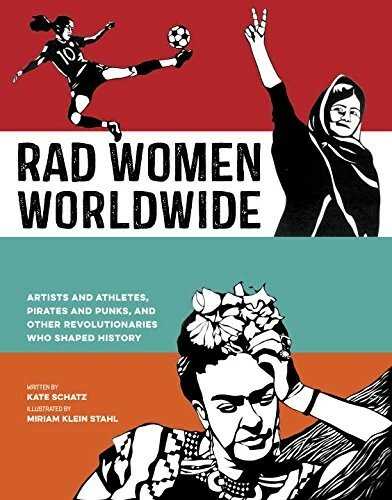 Well-researched and riveting biographies, accented by expressive cut-paper portraits, make this book a treat to read and a compelling addition to women's history collections. 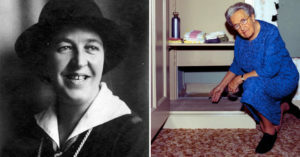 Throughout the history of World War II, there were women who engaged in dangerous and daring acts. 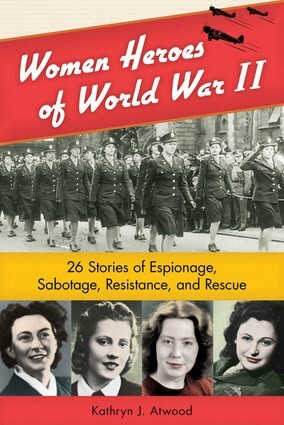 They were spies, rescuers, and resistance members; they refused to sit on the sidelines but instead insisted on doing their part to fight for their nations and for justice. 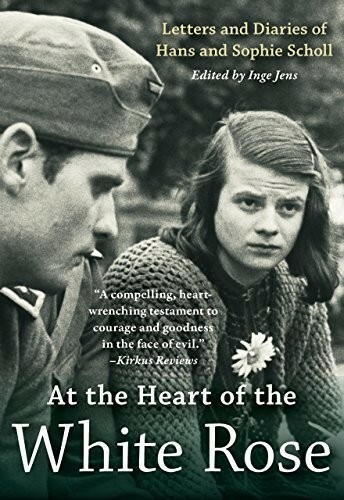 Sophie Scholl's story joins 25 other accounts from Europe and the US in this volume, which celebrates the courage and integrity of the women whose wartime contributions changed the face of history. The tense interrogation between Scholl and Nazi interrogator Robert Mohr about questions of freedom and personal responsibility lies at the heart of this film, directed by Marc Rothemund. From every argument between Scholl and Mohr, distilled from historical records, to the tension of her trial, the film gives a stunning account of Scholl’s last six days. This moving and challenging film, which received an Oscar nomination for the Best Foreign Language Film in 2005, is an excellent way to introduce teens to Scholl, as well as to encourage discussion on larger questions of individual responsibility in the face of tyranny. As teenagers, the Scholl siblings were avid members of the Hitler Youth, but as they watched Hitler tighten his grip, Hans and Sophie decided something had to be done... and became two of the most celebrated German anti-Nazi activists in history. Editor Inge Jens has collected letters and diaries written by both Scholl siblings, which illuminate their personal beliefs and the ordinary moments of joy, laughter, and art that they enjoyed, even in the midst of such horrifying times. It's a unique, intimate look at the person behind the inspiring story. It wasn't long after the war that Scholl's story began to be told. In this book, now available in a 75th anniversary edition, Annette Dumbach and Jud Newborn tell the story of Scholl's involvement in the White Rose. Although it's written in a tense narrative that makes it feel like a suspense novel, this book is carefully researched, and includes end material like reproductions of all of the White Rose pamphlets. It serves as a unique look at one group's response to life in tyranny and a celebration of resilience and courage. 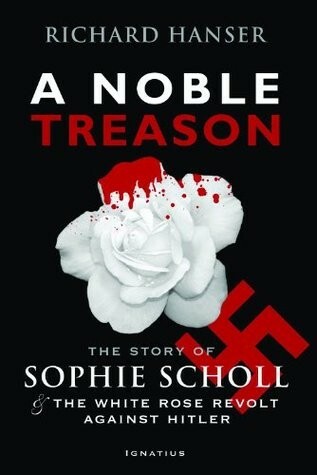 By the Nazi's definition, Scholl's actions were treason... but as this book shows, treason can indeed be noble. Author Richard Hanser tells the full story of Scholl's youth, her gradually increasing moral outrage, and her underground work with the White Rose to resist the Nazi regime. As Scholl and her friends resist both the propaganda encouraging unquestioning patriotism and the fear of the potential price for their resistance, their passion and determination shines through. A Noble Treason captures the people behind this piece of history. For many books for children and teens about girls and women who lived during the Holocaust period, visit our blog post 40 Mighty Girl Books About The Holocaust. 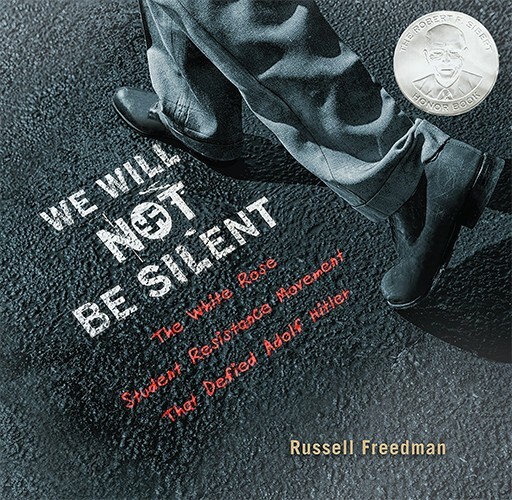 To introduce children and teens to more courageous girls and women who fought for justice, visit our blog post Dissent Is Patriotic: 40 Books About Women and Girls Who Fought For Change.